The Scarlet Detangling Brush comes from the request of high end salons and appraised hair dressers. They needed the perfectly designed datangling brush, but with a more elegant feel. 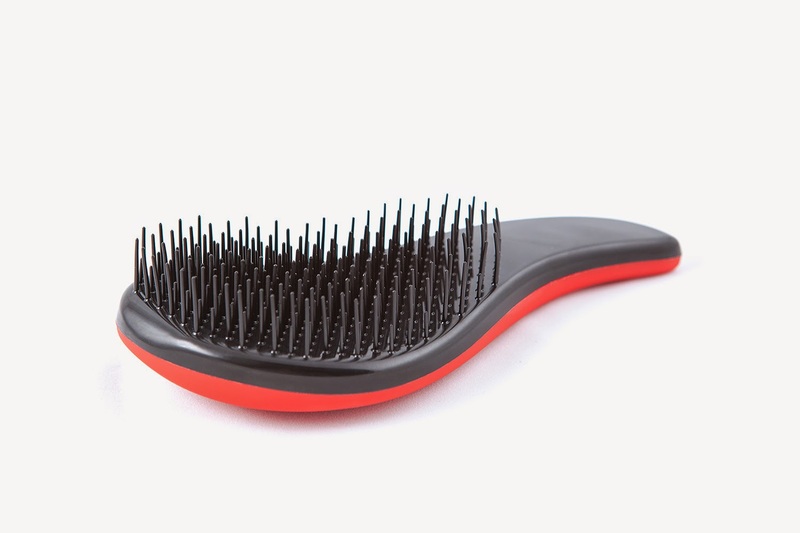 We came up with the red satin finish to express the passion and elegangance of using this detangler brush. The brush not only looks amazing, but the grip has now significantly improved for the professionals’ requirements for longer use. With customers always looking for the best quality products, we pay great attention to functionality and durability. That is why we offer 100% Money Back Guarantee for 90 days if you are not satisfied with the results. That is how confident we are that our brushes deliver results! A mandatory piece in every girl's or woman's toolkit! We are aware of the fast development in design and materials used in hair styling tools. 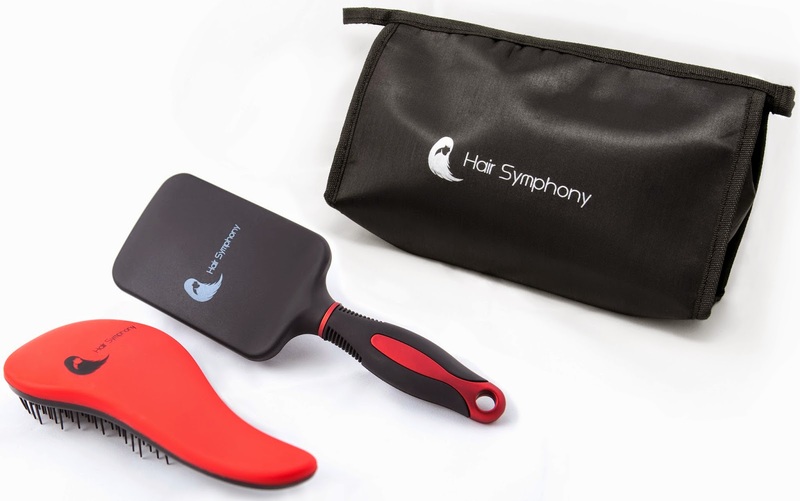 So we wanted to raise the bar even more and present you the Hair Symphony Black Satin Paddle Brush. 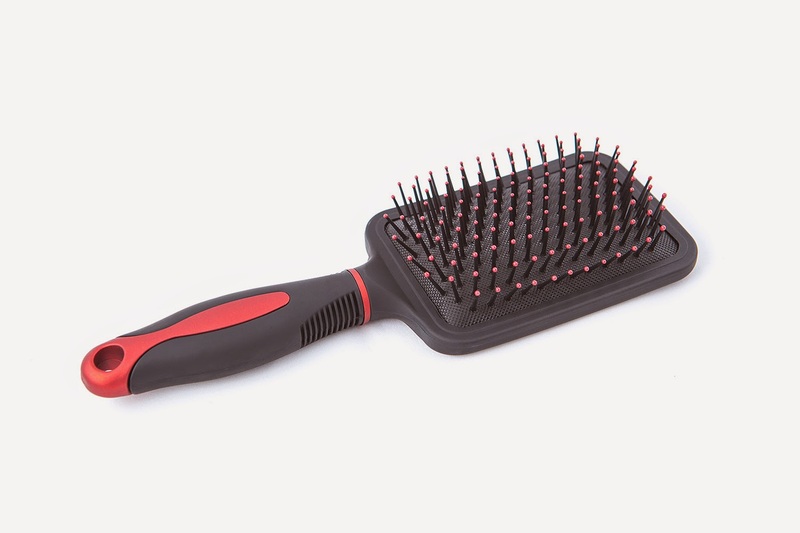 The large pad and carefully aligned pins make the experience of brushing you hair more pleasant and relaxing. The custom grip allows greater handling and the satin finish reduces and even eliminates static. I am on a journey to reach healthier hair, and for some reason I never stopped to think that half of my hair problems might be a result from the brush that I was using. I recently started using this brush set from Hair Symphony, and I am very pleased so far. I use the detangler brush on my damp hair. It is gentle enough for me to use on my hair when it is damp, and doesn't break my hair, or pull on my hair. I also use this brush when I have tangles in my hair that I just can't work out. The design of the brush makes it easy to hold and it also gives you a nice secure grip. I have used brushes like these in the past, however they all didn't have handles on them, so using them could be tricky at times. This one is fantastic! For the paddle brush, I use that on dry hair. It is large enough to cover a good amount of my hair in one swipe. Like the detangler brush, it is gentle on my hair, and doesn't break or pull. This easily glides through my hair, and if there are any minor tangles, it safely eliminates them all with no pulling or pain. This brush works really well for spreading product around through my hair as well. The final thing that I love about this set is that it comes with its own carrying case, big enough to hold both brushes at the same time. This is great for keeping your brushes clean, plus it makes travelling with them so much easier! Hands down I am very pleased with the Hair Symphony brush set, and give them my full recommendation!